The brand Mirrlees Blackstone has been wholly owned by MAN Diesel & Turbo since 2000. 115100 Mirrlees Blackstone propulsion and generator diesel engine - Selection Guide (Program) 2000 year with technical data: Output and speed. Free download. 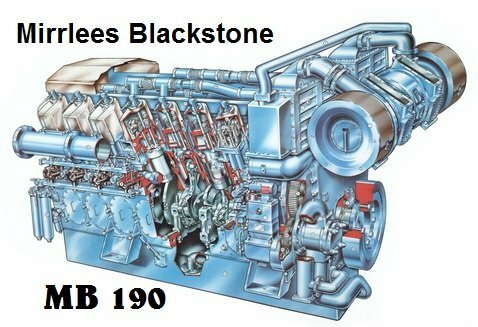 115101 Mirrlees Blackstone is a part of MAN diesel & turbo - Spare parts and repair. Free download. 115102 Mirrlees Blackstone HP fuel pumps and injectors - Woodward parts catalog. Free download.